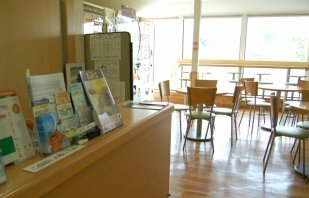 Onomichi Tourist Association has one of its information counters at Shin-Onomichi Bullet Train Station, which has been used as a waiting area too. 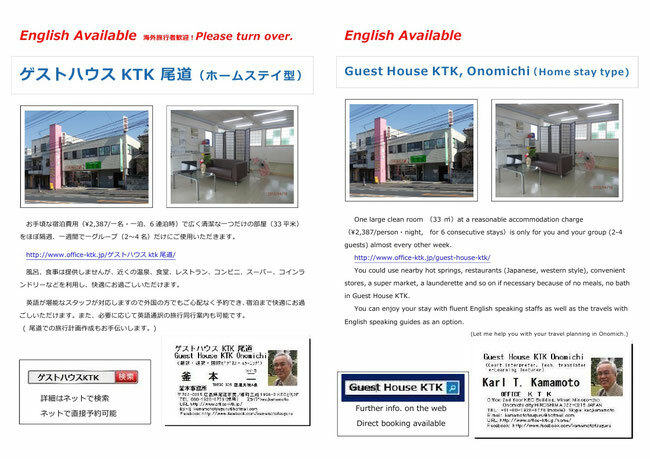 The brochure of Guest House KTK Onomichi both in English and Japanese is available in this tourist information center. You can use this free waiting area to make your travelling plan as well.